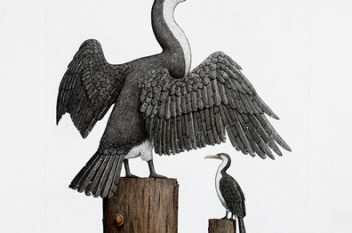 Our printmakers work across a wide range of printmaking techniques such as mono prints, hand-coloured unique state prints and new technologies like inkjet and digital processes. 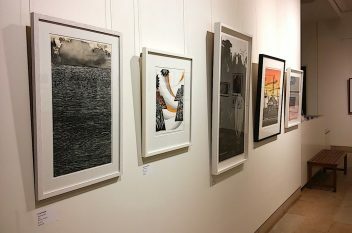 For more than 50 years the Sydney Printmakers have exhibited on a regular basis locally, also organising regional, national and international travelling exhibitions and exchanges with overseas printmakers. 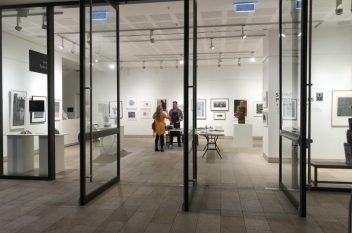 During that time, the concept of an original print as one of a limited edition of identical images created by traditional methods has extended to include a wide range of printmaking techniques such as mono prints, hand-coloured unique state prints and new technologies like inkjet and digital processes. 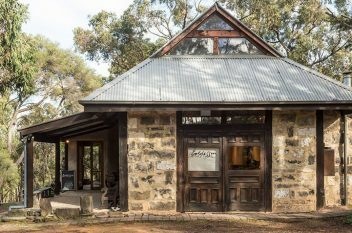 When Sydney Printmakers held their first exhibition in 1961 the group was described as “a society of graphic artists who have come together to form a group, not because the print is a new thing but an old one, neglected.” The aim was, and still is, to promote a better understanding of hand-printed images as original works of art and to exchange knowledge and experience by showing work of international standing. Here are some shots of the exhibition taken by Cheryle Yin-Lo.